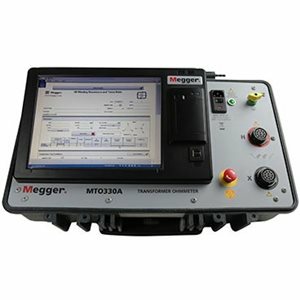 The MTO 300 series delivers full eight-terminal/six-winding resistance measurement capability. It is designed to save time for the user by testing all normal 6 windings without having to disconnect and reconnect leads during testing. The MTO3xx series also shares the Megger TTR300 series lead set. Users who test both turns ratio and winding resistance can save time and money since only one lead set is needed to connect to the transformer.